These days most businesses have a website – if you haven’t got one, then please get in touch as a matter of urgency! Not all websites are alike, of course. The main variable will be the effectiveness of your website. Some websites look great but don’t attract or convert visitors; some look pretty ugly but make lots money, and the rest sit somewhere in between. 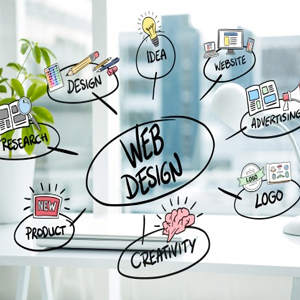 We’ll listen to your business objectives and what you are trying to achieve, whether it’s brand awareness, online sales, company services, portfolio, or something else, and we will create a website that fulfills your aims.